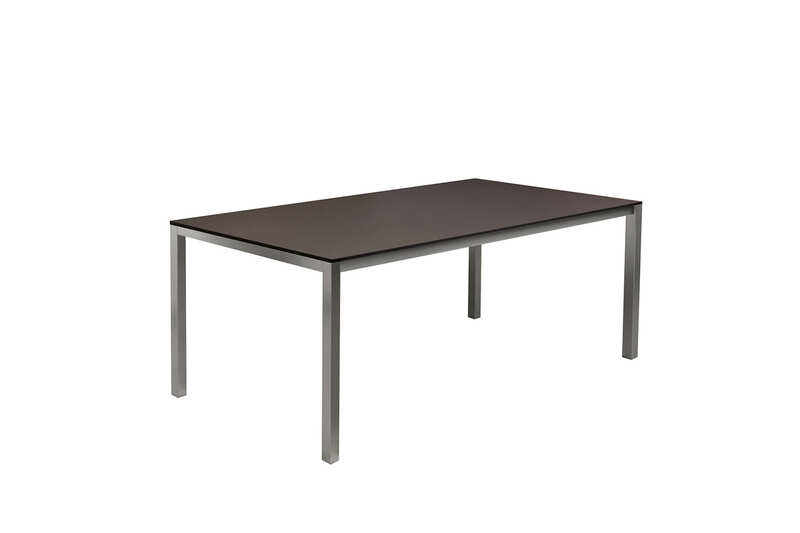 If all you are looking for is “just” an entry-level table, then Primus is the one for you. There’s nothing to pull out (which is instantly obvious from the price, but absolutely not from the quality). But it’s available in 24 different sizes: So there’s plenty of room for lots of lovely people. And with the filigree frame in stainless steel and the HPL table top in white, anthracite or taupe, it is wonderful to talk shop about it. Well, at least until the food arrives. Even if you don’t have a lot of space, you can still have a lovely table. 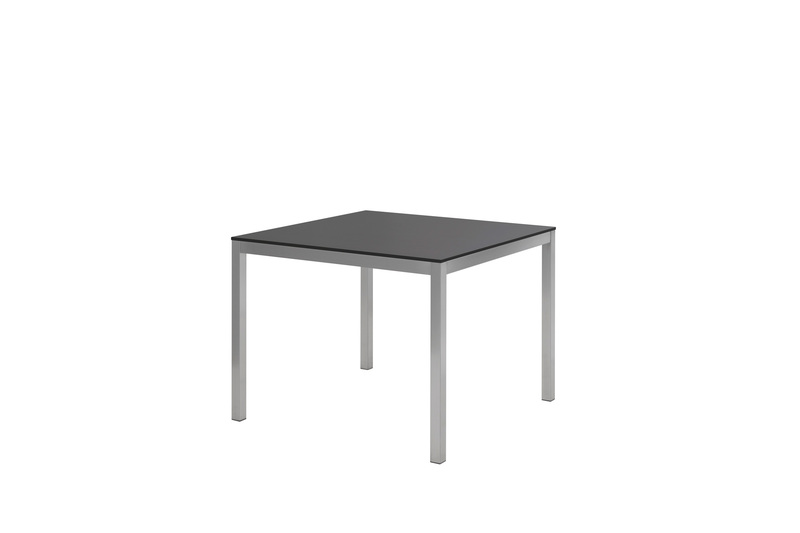 Measuring 100 x 100 cm, the garden table Primus is perfect for four people. 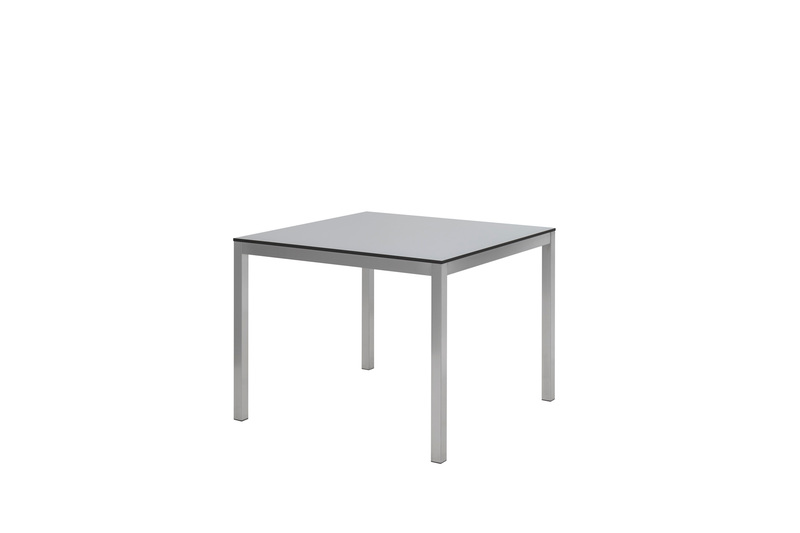 Or as a generously-dimensioned side table. And a high level of flexibility is also implicit in “Made in Germany”, it is the easiest thing for us to make your table to your dimensions. All you have to do is ask. The frame, which is also weatherproof, is made of brushed stainless steel with legs measuring 4.5 x 4.5 cm. You can also just obtain the frame of Primus, which is available by itself in lots of different dimensions, and use it with your current garden table top in glass, granite or other materials.